OTG Liquidation C enter is a 60,000 square-foot warehouse, offering deals and discounts on amazing products. More than that, we are a family. The owner, Michael Smith, has been in the wholesale / liquidation business for over 26 years. His personal motto is “Honesty. Reliability. Integrity.” He loves to do business with people from other countries, from Haiti to Guatemala. He believes in fairness and, above all, helping his customers to succeed. Stephanie Hoyt, Smith’s store manager (and better half), runs the retail side of things. Her keen eye and inspiration make shopping at OTG Liquidation Center a delight. She is constantly working on new sales and new incentives to keep the public entertained and engaged. She is a master at dealing with customers. Jaime Smith, the boss’s daughter, maintains bookkeeping and is a skilled saleswoman. She enjoys decorating her Florida home and raising her beautiful son Julien. Kerry Smith & Kristina Michael’s son & daughter in law (brand new mommy and daddy) handle b-stock merchandise, sales, and technical support. He is a former graphic artist by trade, and the designer of our logo and she is busy being a mommy. Patty, David,Bethany ( Bet-Knee) and Helena are up front ready to run those cash registers . They are always ready to help pick out the perfect product for our customers. With their trademark energy, verve, and charm, we couldn’t imagine life without them! John, and Alvin are in our outdoor area ready to help you build the backyard of your dreams! Billy runs our warehouse efficiently and effectively. With his help, you know your wholesale order’s in the right hands. Trey and Derick build our furniture and help with customer service along with loading it all up for you! Valeria serves as our lead translator, effective salesperson, and sass-master extraordinaire. Malena, Alexis, and Stephanie will be filling the store with all the amazing deals you wont find anywhere else. Be sure to stop by and tell them hello. They can also help you find anything you may be looking for. Laura and her crew are working hard in the back to keep that clothing full so you are able to get in on all the best sales. Theresa is outside with our welcome sign, be sure to beep and show some love. 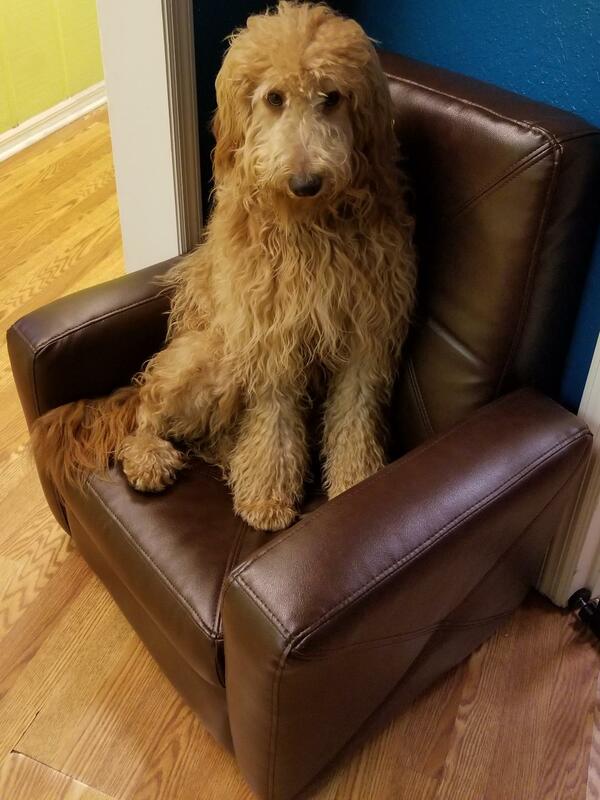 And finally, Sophie the Goldendoodle is our mascot and is truly the boss of the entire business.